Born on September, 6th, 1972 in Laxou (in the suburb of Nancy). He first picks up the electric bass at 15, learning to play on his own. His first influences were pop and rock music. He enters the C.N.R. 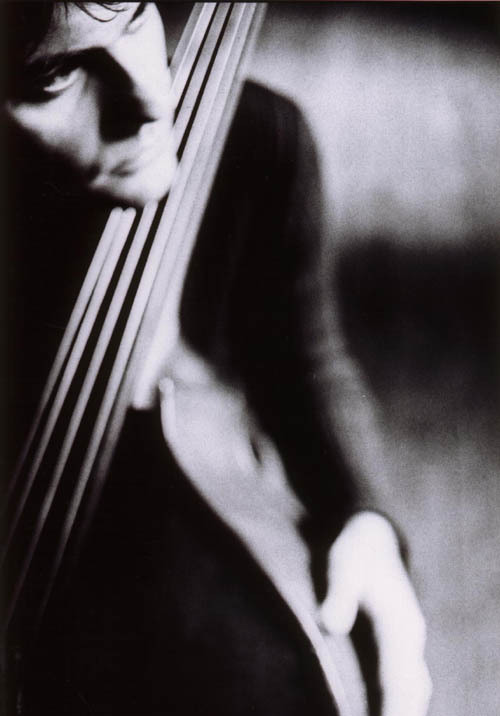 (National Conservatory of Music) of Nancy and studies the double bass with Bernard Vautrin. He passes in 1995 the final education exam and gets an A grade to several subjects such as instrument class, notation and chamber music. He also gets the National Jazz Diploma. 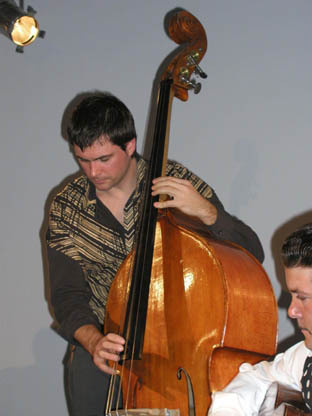 Afterwards, he perfects his knowledge with famous double bass players such as Riccardo Del Fra, Mark Dresser, or the tuba player Michel Godard. He also particularly appreciate Marvin Gaye, James Taylor, Sting, U2, Léo Ferré, Barbara, Alain Bashung, Serge Gainsbourg in what concerns rock or variety music. Other kinds of music also attract him : Tricky, Björk, Massive Attack in the electro music world. Gautier has been very busy since the 90’s and is still today. Besides his own bands, he gets asked by numerous formations, notably as replacement : the orchestra of the Conservatory of Music Of Nancy, Bruxelle’s one, "Jezzabel", a band composed of Philippe Lemoine, Bruno Debab, Christian Mariotto, the ORJL (Regional Jazz Orchestra Of Lorraine) in which he played with Phil Abraham, Mario Santchev... We could also quote the formation run by Georges Aperghis (Musica Festival of Strasbourg) in 1999.. He forms his own quartet in 2002 with fellow musicians Manu Codja, Philippe Leclerc, Christian Mariotto and plays at the “Pôle Sud” Festival in Strasbourg. Since 1999 he participated to several formations such as “Vorwäts” ( improvisation based on popular songs from the war in Spain). He played at the Musica festival in Strasbourg with this band. Gautier also plays with “Zakarya”, a traditional Klezmer and Yiddish music inspired improvisation band with which he played at the Grenoble Jazz Festival, the Alternativa of Prague, the Jazz Festival of Vitrolles, and Montreux. He also plays with Claude Barthelemy, the Abstrakt Trio, the vibraphone player Frank Tortillier’s trio, the Guillaume Laurent Quartet, Hékla (a band with Manu Pekar), the Gypsy Project of Bireli Lagrene, the Laurent Gebhardt Band, Triom (a formation with Jean-Michel Albertucci on piano and Christian Mariotto on drums that played at the Nancy Jazz Pulsations in 2000), with the Valérie Graschaire Quartet as well as with Samson and Dorado Schmitt (Samois and Angers festivals). The famous gypsy jazz guitarist Tchavolo Schmitt asked him to join his band in 2002. He has been touring around the world (Japan, Norway, Italy, the U.K., Hungaria…) and in France (Samois, Angers, “Les Musicales” of Puy en Velay) with this formation since then.